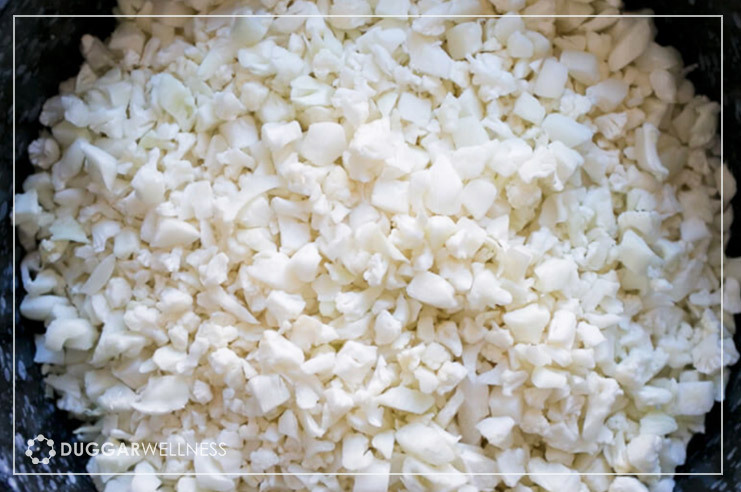 Riced cauliflower is a great alternative for people who have trouble digesting grains and are choosing to eat a paleo friendly diet. Core the cauliflower and roughly chop. In small batches place florets in a food processor and pulse until chopped to rice-grain sized pieces. If you don’t have a food processor you can do this using a box grater. In a large skillet over medium heat, add the oil. Add the cauliflower salt and additional herbs/spices. Cook for about 6-8 minutes, stirring frequently until cauliflower is cooked al dente.